We want to give you a real resort experience. 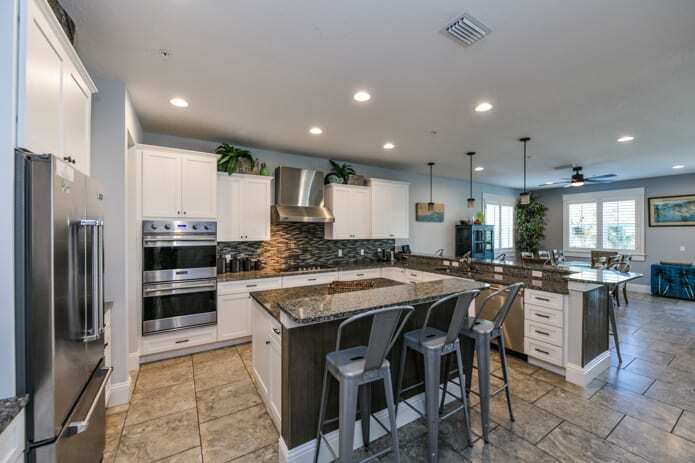 With our massive private homes, you can indulge in all the best features of Siesta Key. Don’t just find a place to stay- find an experience. Look at our top five most exceptional rentals for big families. Our Sea Spray home defines adorable. It is coated with sunny beach décor that will put a big smile on your face. But it’s the luxurious walk-in showers with glass windows across six bathrooms, the accessible parking, the elevator to multiple floors, the six king beds, the heated resort pool with waterfall, and much more, that makes this rental so impressive. Bring the entire family along. You got eight total bedrooms to lounge out in. If it gets a little busy, walk to the beach or nearby shopping village right around the corner. The first thing you may notice upon walking in the 6 bedroom Canal-Front property is the professional interior design. 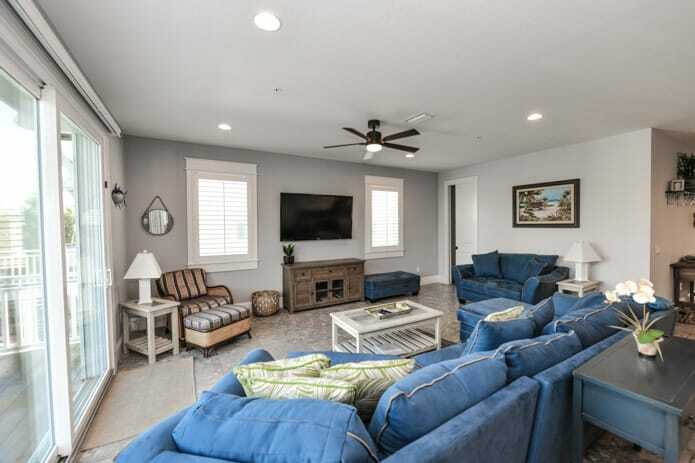 This waterfront Siesta Key vacation rental offers plenty of space for 17 guests, but still offers cozy, intimate gathering places both inside and out. The backyard and the multiple level of decks are the main feature for this home. Guests love relaxing outside, and there’s even a shared boat dock where families can fish or enjoy a peaceful paddle around in a kayak. 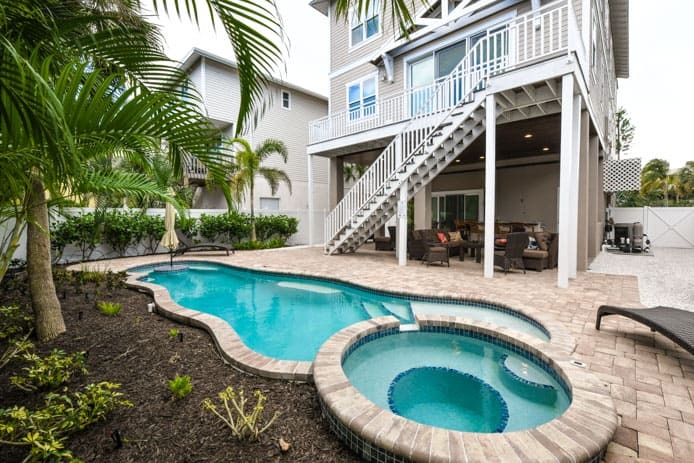 Walk or ride your bike to Siesta Key Village and Siesta Key Beach then come relax in the stunning private pool. We wish we could just transport you to the top deck of the Sunset Gulf, even for just a minute. It’s a sure spectacle, with bold and uninterrupted views of the water. The Sunset Gulf is epic. Eight total bedrooms with four masters, five baths, an expansive outdoor patio, close proximity to the local shopping village, a block from the beach, a private heated pool, an elevator over multiple floors, and more, what does the Sunset Gulf not have? 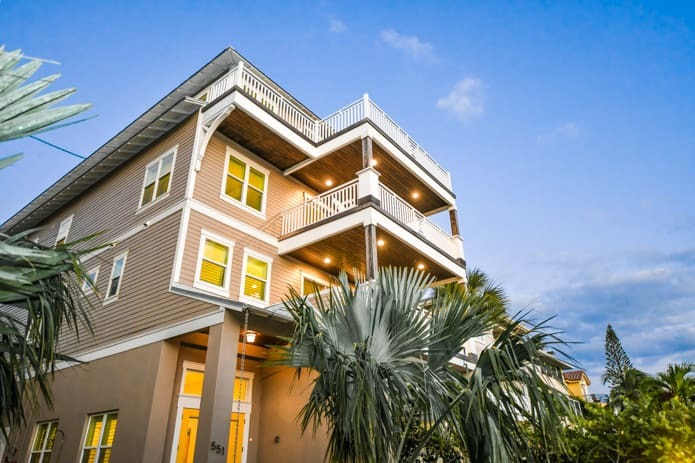 Aloft on Canal is one of our grandest Siesta Key Florida vacation rentals. The most impressive feature may be the double-decker balcony and deck. 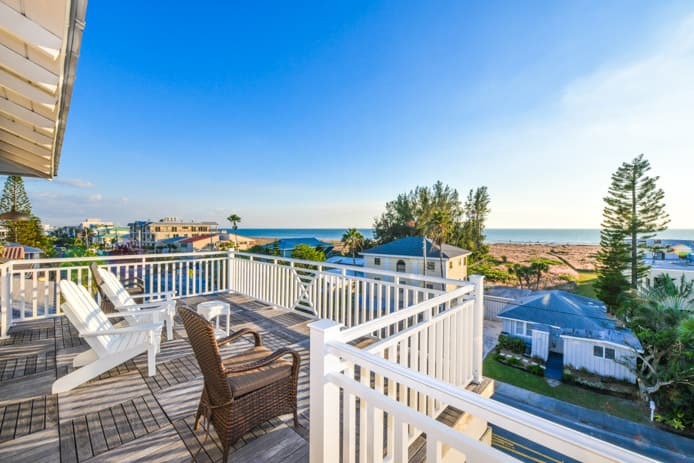 The wraparound deck allows you to get the ideal vantage point to the beach. Interested in seeing more? Take the outside spiral staircase up to the top floor and admire the extravagant sights of the area. A bottom floor common area has foosball, a large fridge, and other cool amenities for your crew. You can also easily access the private pool from this space. If you want to escape for the afternoon, you can in style. The property has a dock you can freely use. Bring your boat, kayak, or canoe along for the adventure. You can even rent these items and have them dropped off to you! The Aloft on Canal boasts six king beds and multiple bunks across eight bedrooms. 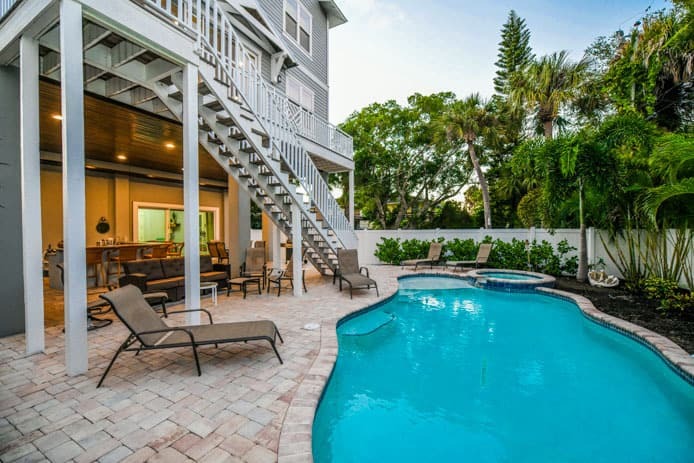 We leave one of our best Siesta Key rentals for last. The Sunset View is an astonishing multi-story escape. 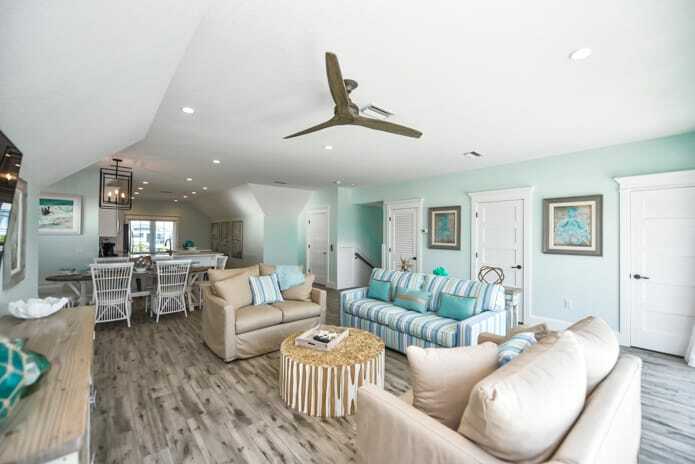 Wind up the floors of this beachside home and see all that it has to offer. Start at the ground floor patio space, emboldened with gorgeous designs and alluring stone. Pass the grand kitchen and make your way to the very top for the boldest and most beautiful views on the island. There’s about 5,600 square feet to explore. Have an unforgettable experience. There are so many things to do in Siesta Key for families. We want you to have more than a place to hang your coat for a few days or a few weeks. We want this to be an amazing vacation experience, and we go above and beyond to make that happen. 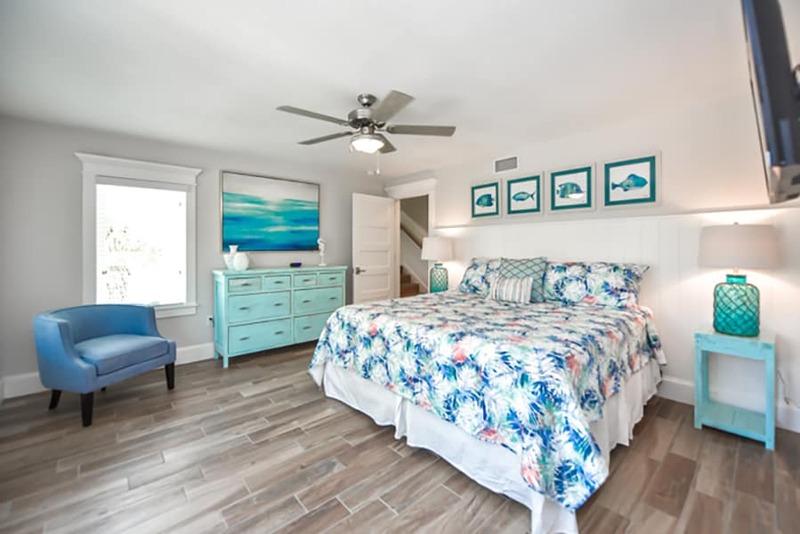 With your vacation rental booking comes additional services provided by our Property Manager that is happy to help you settle in and plan additional activities. Make the most of your journey with our luxury homes’ top-tier amenities, and receive the full resort experience, in the comfort of your own private space.